Wonder Woman is one of the biggest hits of 2017 so far. 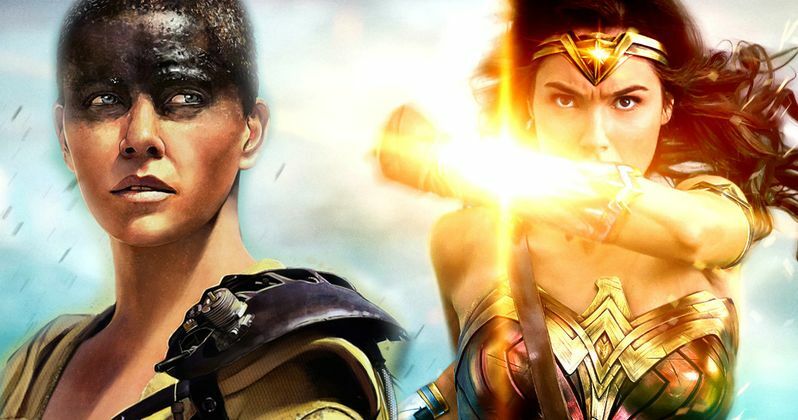 Even in a terrible summer at the box office, Wonder Woman has managed to make more than $800 million worldwide and could be in the awards season conversation later this year, partially in thanks to the massive Wonder Woman Oscar campaign that Warner Bros. is going to run. Gal Gadot is sure to become one of Hollywood's biggest female stars now, but she had gotten close to some huge roles before. In fact, she almost nabbed the role of Furiosa in Mad Max: Fury Road. Gal Gadot recently appeared on the Hollywood Reporter Awards Chatter Podcast to talk about Wonder Woman and her career in general. During the course of the conversation, she revealed that she was the "runner up" to star as Furiosa in George Miller's modern masterpiece Mad Max: Fury Road, a role that ultimately went to Charlize Theron. However, because Gadot wasn't a big name at the time, she had trouble booking big gigs. Here's what she had to say about it. "I had so many almosts for big, great things. But I was never big enough of a name. It was always me and the big name [actress]. By then, I was married and I already had my first daughter, and going back and forth from Israel, and dragging everyone with me, and trying and feeling the pressure of, I'm coming here, now I've gotta book something! I've gotta get a role in something. Charlize, I love. It's funny, because we have Patty Jenkins in common." As Gal Gadot points out, director Patty Jenkins worked with Charlize Theron on Monster, which earned Theron her Oscar. If Warner Bros. is successful with their upcoming awards season push, they could have even more in common if Gadot can land a Best Actress nomination for her work in Wonder Woman. That doesn't seem overly likely, but at this point, it is impossible to rule out entirely. They are both known for playing strong female characters and, as we now know, they both could have played the role of Furiosa. Mad Max: Fury Road didn't make quite as much as Wonder Woman at the box office, but it was one of the best-reviewed movies of 2015 and became an instant classic. That was in no small part due to Charlize Theron's Furiosa, who was one of the most memorable female characters in recent history. The movie was nominated for a total of 10 Academy Awards and brought home six. Would the movie have been quite so successful with Gal Gadot driving around the wasteland with Tom Hardy instead of Theron? It's hard to say, but it's certainly interesting to think about. Either way, Gadot is set for the future now, with or without a Mad Max movie under her belt. Hardy Vs. Theron: What Really Happened on the Set of Mad Max?